Good demand from an international buying bench featuring buyers from throughout Europe and the Middle East saw 148 horses sell at today’s Goffs UK August Sale at Doncaster. Offering a catalogue of Stores and Horses-in-Training, the sale was topped by the Grade 1 placed, Alan Fleming trained Chaser Velvet Maker (Lot 148 - pictured) who was consigned by his owner Barry Connell and was purchased by David Christie for £36,000. 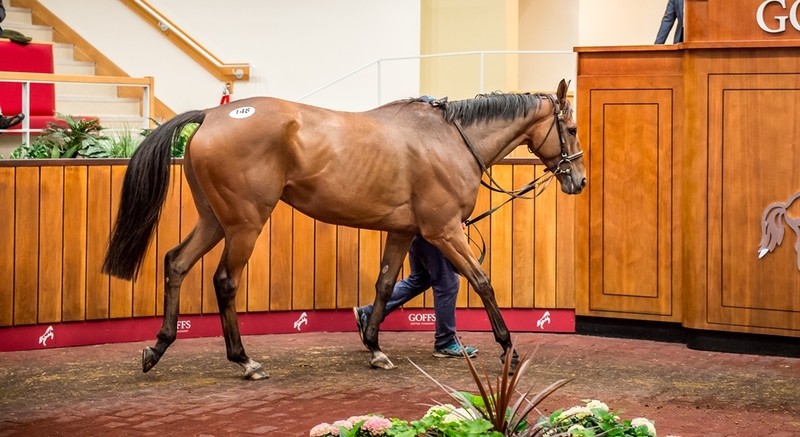 The sale’s second top price of £32,000 was shared with Bobby O'Ryan and Evan Williams securing Killountain Stables’ Bumper placed Marble Moon (Lot 138) and Tom Biggs of Blandford Bloodstock purchasing Richard Hannon’s last start winner Shaiyem (Lot 196). The day’s opening Store session was topped by Swanbridge Bloodstock’s Midnight Legend half-brother to the Grade 2 placed No Comment (Lot 88) who was purchased by Gerald Bailey for £27,000. “Last year this sale made a huge return to the sale calendar following a two-year absence and the Potensis Dispersal certainly provided a number of highlights and it was always going to be hard to match those results without a Dispersal of that stature. However, this sale provides a market for all levels and we enjoyed a strong trade for those that appealed most but it has to be said, it was hard going for the remainder.